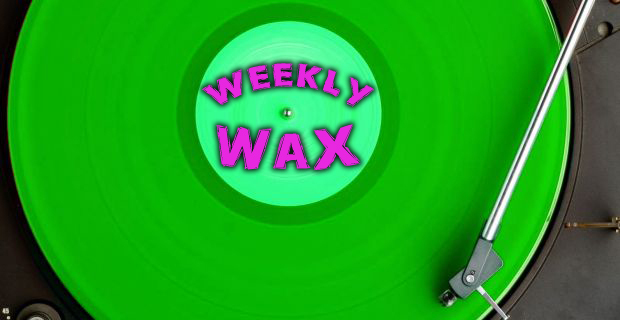 Once again, this week’s vinyl news was dominated by Record Store Day announcements. Most notably, Childish Gambino and Katy Perry both announced pressings of their most recent albums to commemorate the holiday, and they were far from the only ones. Check out Modern Vinyl’s RSD list for the latest in what will be hitting stores on April 19. In other news, pre-orders launched for more than a few exciting releases. You can now purchase the soundtrack to Alfonso Cauron’s excellent Gravity and a splatter pressing of Blink-182‘s live album courtesy of Mondo Records and Hot Topic, respectively. Finally, classic rock juggernauts Led Zeppelin announced plans to reissue their first three albums in deluxe vinyl packages this summer. For all the details, check out this week’s roundup after the break. The split 7″ featuring Hot Water Music and Bouncing Souls will be getting a repress soon. The first three Led Zeppelin albums will be reissued this summer with new mastering, unreleased songs, and other bonus content. They will be available in single LP and 3xLP versions, and you can order copies now from Amazon. Waxwork Records will release the soundtrack to The Warriors on vinyl this year. Johnny Craig‘s Find What You Love and Let It Kill You will get a vinyl pressing this spring from Enjoy The Ride Records.